Just threw this together. It's ugly. It's under construction. I will be moving all substantial Tarot content to this blog and just linking to it from Google+, Facebook, and Twitter. 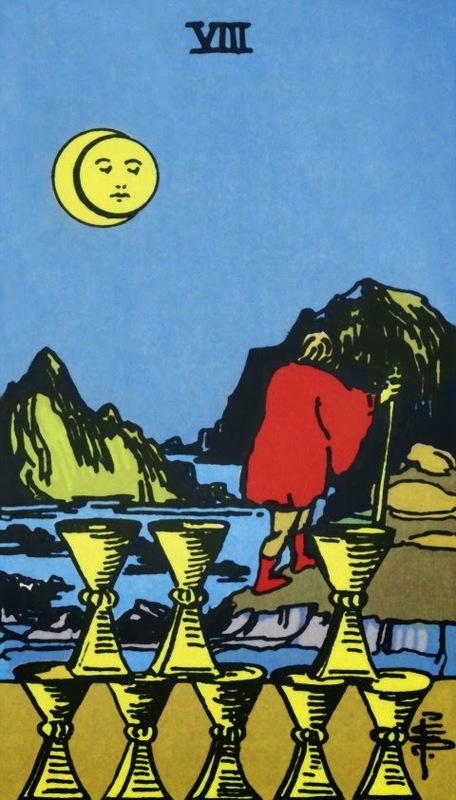 Until then, look at the interesting Eight of Cups. I'll possibly post about my study of it soon.